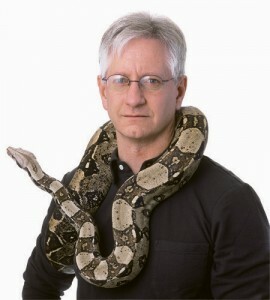 Sometimes scorned for the company he keeps, Professor Jack Sites has warmed others’ interest in cold-blooded creatures. When Joanne Lawson brought her college boyfriend home to visit the tiny farming community of Trenton, Ky., the neighbors were not impressed. Being from Tennessee, Jack W. Sites Jr. already had one strike against him, but what really unnerved them was the sight of the couple running through clover fields waving a butterfly net. “Who’s this butterfly boy she’s frolicking with?” Joanne remembers them asking her parents. Explaining that Jack was helping her gather specimens for an insect study class didn’t help. And, unfortunately for Jack, pointing out that he didn’t really study butterflies, but reptiles and amphibians instead, didn’t help either. Joanne’s mother, Margaret, was particularly dubious. To a woman who so detested snakes that she would flop down in the grass in her front yard with a .22 and blast them out of surrounding trees, the idea of capturing them live for study and appreciation was incomprehensible. But Jack was not content to just win her blessing to marry Joanne—he wanted Margaret to appreciate his scaly friends, too. 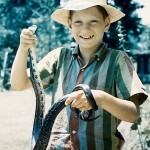 He caught some snakes to prove they were harmless and explained their virtue of mouse control. 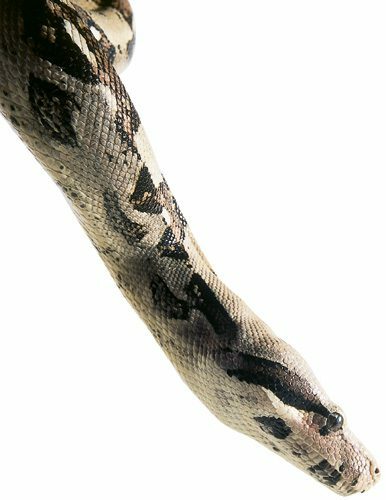 Now, after 29 years, Margaret periodically calls her son-in-law, a BYU professor of integrative biology, to report that she encountered a snake but spared its life. “My ultimate conversion,” Jack jokes. 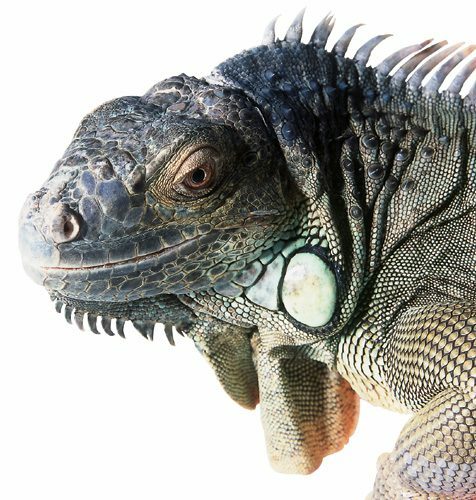 Sites’ infectious passion for such creatures has also won over the federal government, which has funded his research of lizards in Mexico and endangered giant turtles in the Amazon, as well as many undergraduates who have become herpetologists (scientists who study amphibians and reptiles). clinging to the gunwale of a fishing dinghy traversing the crashing waves in the Sea of Cortez. northern Mexico and created the Sea of Cortez and the Baja Peninsula, which extend south from California into the warm Pacific. The calamities left communities of animals separated from their kin, handing today’s biologists a natural experiment. 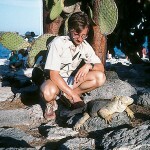 In the early 1990s Sites and Mexican colleagues gathered a family of lizards on the Mexican mainland, anticipating the opportunity to compare them to similar lizards on the peninsula and, most exciting to him, on islands in between. Sites was eager to see how time and subtle variations in environment had affected the progeny of those ancient lizards left staring across the ruptured San Andreas fault at their relatives. The fisherman came through, depositing the scientists on the rocky island of Santa Cruz, dotted with cacti, boojum trees, and, to Sites’ delight, scores of the sunbathing, orange-tinged lizards he needed to close a 10-million-year gap in the reptiles’ family tree. He and his colleagues gathered them by employing one of the herpetologist’s most sophisticated technologies—industrial-strength rubber bands. Snapped from the thumb in a technique passed down by generations of fourth-graders, the missiles stun unsuspecting lizards long enough for a hunting partner to scoop them up. 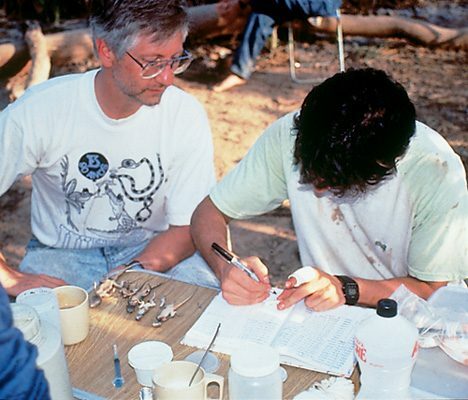 It’s a skill Jack and Joanne perfected early in their marriage, when they spent dusty summers camping in the Mexican desert, gathering specimens for Jack’s PhD dissertation. Later, their daughter, Hillary, served as their toddler-at-arms, ready with dozens of rubber bands draped over her little shoulder. The hunt on Santa Cruz was successful, and future lab work comparing the DNA of the three sets of lizards showed that the island-bound species was more closely related to the mainland group, which was somewhat surprising since the island is closer to the peninsula. The findings, which clarified some important ideas about how animals change over time, yielded several significant research publications. But Sites would rather talk about the benefits of the study for his Mexican colleagues. It was funded by a $400,000 grant from the National Science Foundation, and he rattles off how a good portion of that money was spent: a Jeep that the Mexican collaborators continued to use for research after the project, part of the collaborators’ salaries, 20 field trips for Mexican students, and computers, cabinets, and jars for a Mexican museum. 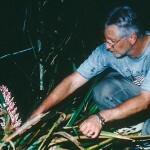 As in this case, it can be difficult to extract from Sites his own role in research. When asked about any of his projects, he starts by detailing the contributions of undergraduates, the promise of his graduate students, and collaborations with fellow faculty members. By then he is usually so excited about how well his department is functioning that he forgets the question, spouting phrases like “leveraging internal funds” and “linkage hires” and casually referring to BYU‘s four main institutional objectives. But she would see much more than a little snake. 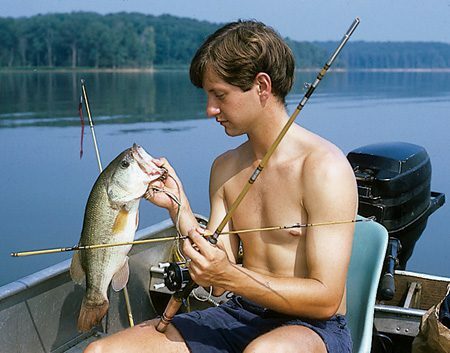 Whenever Jack went fishing with his father and encountered an animal, he asked to keep it for a pet. Eventually, Jack Sr. had an 8-foot-long turtle tank built onto the back of the house to contain his son’s acquisitions. 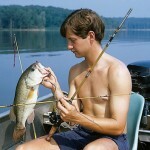 Catfish then joined the turtles, both subsisting in part on the scraps the Siteses tossed in during backyard barbecues. Jack also had a caged pine snake named Elsie that he would bring into the living room to exercise. When his grandmother visited from Louisiana and settled onto the couch, she would lift her legs up when Elsie slithered by. “Jack’s mother was a saint for putting up with all this,” says Joanne, who has seen her daughter adopt Jack’s fearlessness. On a canoe trip with her parents in Tennessee last summer, Hillary, now 21, noticed a water snake. She astonished her date by hopping into the river and tossing the snake into the canoe. It is pitch dark three feet underground when a baby giant Amazon River turtle chews through its egg shell and begins its struggle up through the sand. Ten weeks ago mother turtles, weighing 150 pounds with three-foot-long shells, buried their eggs deep in the riverbanks to shield them from predators. Now hawks and vultures chatter restlessly in the tree branches while a type of raccoon called coati and small wildcats like ocelots and jagarundis pace the beach, awaiting the closest thing to a free lunch in the jungle. “It’s almost as if they’ve been counting the days until the hatch,” says Sites of the spectacle. When the hatchlings break into the sunlight, they scamper furiously toward the water, and the hunt is on. Birds swoop to pick off siblings right and left—those the cats and the coatis haven’t already snapped up. When the lucky few babies slide into the silty waters, danger lurks within. Caimans, similar to small alligators, are a threat, but most ferocious are the 150-pound catfish. “Envision these underwater vacuum cleaners sucking these hatchlings up,” Sites says. Once the survivors make their getaway, biologists don’t know where they go or what happens next, except that someday the females will crawl back up a beach to nest, and the race to the river will resume. The turtle population endured these predators for millions of years, until the venerable reptiles confronted a predator for which nature hadn’t prepared them—humans. Indigenous peoples hungry for protein and descendants of European settlers seeking delicacies helped themselves to turtle eggs and to helpless mothers lumbering ashore. The turtle population dwindled into endangered status, but thanks to the Brazilian government, which posted guards at nesting beaches, the decline has leveled off. 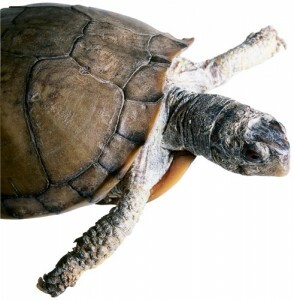 Now the lack of knowledge about the turtle’s life patterns and behavior hampers further progress. Biologists don’t even know how old the turtles are when they start reproducing. “Turtles in other parts of the world stop growing when they hibernate, so the shell stops, then the next year they lay down another layer,” says Sites. “You can count them like tree rings to tell how old they are. But a tropical turtle can grow year-round, so there are no rings.” Scientists also aren’t sure if the river turtles return to their birthplace beaches to nest like their seagoing cousins, who can navigate thousands of miles back to a three-mile stretch of beach. Tagging and tracking the river turtles like sea turtle researchers have done would take decades, so instead, Sites is in the middle of a three-year, $200,000 project to gather the natural tags all turtles carry in their genes. A type of DNA passed on only from mothers is found in the cytoplasm of the egg cell. If Sites sees strong consistency in such DNA among turtles found on the same nesting beach, he’ll know that the mothers returned to their birthplace to bear their young. He can also look at the genes passed on by both parents to determine if the groups of females are mating predominantly with the same groups of males or whether the turtles scatter through the vast river basin before finding partners. It’s important for animals to disperse their genes across entire populations to preserve and share healthy traits that allow various groups to survive disruptions to their environment like disease or harsh weather. If this “gene flow,” as scientists call it, appears impeded, Brazilian administrators might relocate some of the turtles to enhance genetic diversity. They also need to know which beaches warrant the most protection. 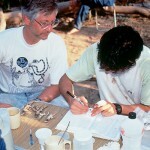 Conducting research in the Amazon is an adventure. On a flight over the western part of the forest, Sites calculated he crossed 470 miles of continuous canopy, broken only by rivers and lakes. 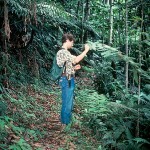 Researchers believe aboriginal peoples who have never encountered European influence still live in such isolated places. 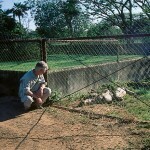 Sites was soaking up this environment on his first trip to the Amazon in 1991 when he and two Brazilian biologists encountered fresh jaguar tracks almost the size of human hands. “Instantly you have an involuntary— what I would call animal—response. The hair on the back of your neck goes voot,” he says, motioning up with his hand. Jaguars are equipped with the most powerful jaws of the big-cat family. Instead of grabbing their prey around the throat like tigers and lions, the 200-pound cats bite through the skull of their kill. “There are always jokes about making sure there is at least one person in the group you can outrun,” Sites says. After they moved ahead from the tracks, loud noises halted the scientists. “It sounded like a bulldozer or a tractor pushing stuff around—but without the engine,” Sites remembers. “It was cracking and breaking limbs and things like that.” Then they saw the source of the racket—a group of peccaries, wild pigs the size of Rottweilers. 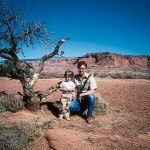 “I went to the tree closest to me, trying to get my gear off as fast as I could. My tree was about 12 inches in diameter but had no limbs on it. I remember wrapping my legs around it and trying to scoot up, the whole time thinking, I have got to get at least a meter off the ground so my ankles are out of the way,” Sites recalls. Meanwhile, a colleague had the misfortune of climbing a tree only a few inches thick, and it tipped toward the ground. He grabbed a nearby vine to halt the fall, but the same vine pulled tight over Sites’ shoulder and halted his upward progress. While his muscles cramped and burned, ants from the tree began helping themselves to his flesh. The photo of Sites’ saving tree joined thousands of others in the slide collection he uses to help share what he is learning in his research with his students. Sites is just as proud of his former students. One of his PhD students was named vice president for research at a Brazilian university three years after graduation. Another is on the committee that advises the government of Mexico on biodiversity issues. Others are on the faculty at U.S. research universities, and former undergraduates pursue doctorates around the world. Sites’ wife admits that her husband is a workaholic. 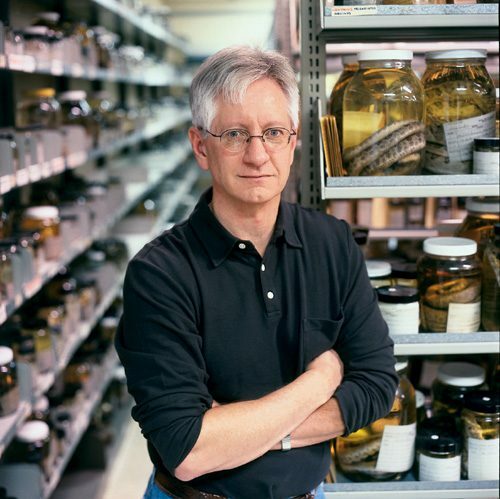 “His pleasure reading is scholarly journals,” says Joanne, who is no slacker herself—she spent months of weekends helping Jack fill specimen bottles with alcohol when he took over the Bean Museum’s herpetology collection. Watching her husband grow animated in discussing his students’ futures, a smile creases Joanne’s face. “Can you see the enthusiasm?” she asks while Jack continues. But the enthusiasm isn’t only evident in the Sites’ living room—it’s on display in universities in Brazil and Mexico, in the passion of BYU undergraduates, and in a wary crowd who encountered a spry Tennessean 30 years ago and has since gained an appreciation for the creepy things that crawl on the ground. More than 35,000 reptile and amphibian specimens fill the herpetology collection of BYU’s Monte L. Bean Life Science Museum, for which Sites is curator. Sites’ passion for scaly creatures has helped him win more than a few converts to the virtues of creepy things. When the Sites return to Trenton each Christmas, Jack narrates a slide show at the Lawson farm. By the time the Butterfly Boy flicks off the lights to begin tales of the previous year’s exploits, the room is filled with neighbors from miles around. Michael Smart is a media relations manager for BYU University Communications. WEB EXTRA: See more photos of Sites’ adventures.